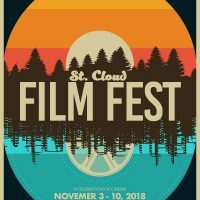 3-night film festival supporting local short films. First two nights show 20 films and the third night is the Awards Show featuring all of the nominated shorts. The St Cloud Film Festival answers the needs of filmmakers and film-watchers in the community. The local filmmaker needs a place to display their completed work in front of an audience and we will provide an annual outlet for that. It offers a chance for them to get some critical analysis/feedback on their projects. Seeing where you had success or where you need develop will help filmmakers create stronger products in the future. They’ll meet other people that they can work with in the future on project. That’ll strengthens relationships and abilities.